He was an American Baptist minister and activist who became the most visible spokesperson and leader in the civil rights movement from 1954 until he was assassinated on Thursday evening, 4 April 1968, while standing on a balcony outside his second-floor room at the Lorraine Motel in Memphis, Tennessee. 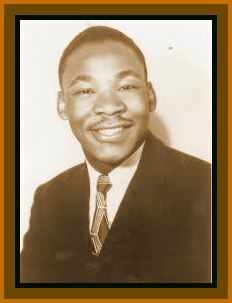 He was born Michael King, Jr. on 15 January 1929, in Atlanta, Georgia, to the Reverend Michael King, Sr. and Alberta Williams King. His father would later change his own name as well as that of his 5-year-old son to Martin Luther King after becoming inspired by the Protestant Reformation leader Martin Luther during a trip to Germany. Each year in January, many Americans, including Latter-day Saints, commemorate the legacy of service of Dr. Martin Luther King, Jr. King is quoted as saying, “Our lives begin to end the day we become silent about things that matter.” He is also quoted as saying, “Life’s most persistent and urgent question is: ‘What are you doing for others?’” The crux of his life revolved around being of service to others to obtain equality for all humanity. The word “service” is a word that Latter-day Saints are all too familiar. In fact, on the day that is set aside as Martin Luther King Day, many seek ways to render service where needed. 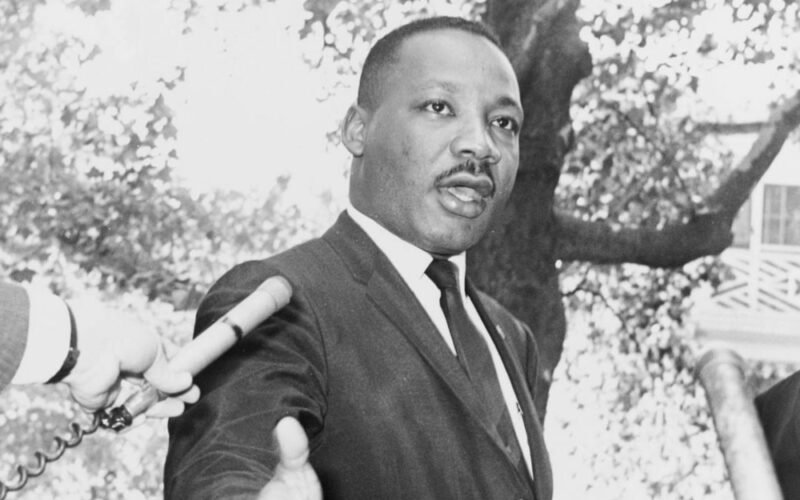 Throughout his life and ministry, Dr. King, and later, members of his family, had some interesting connections to The Church of Jesus Christ of Latter-day Saints (often mistakenly referred to as the “Mormon Church”). In 1990 when his house was sold, two copies of the Book of Mormon were found in his personal library. However, there is no evidence that he ever quoted from the Book of Mormon. Dr. King also spoke to a standing-room-only crowd of 1,700 people, including many Latter-day Saints, at the University of Utah, encouraging them to join the civil rights movement. 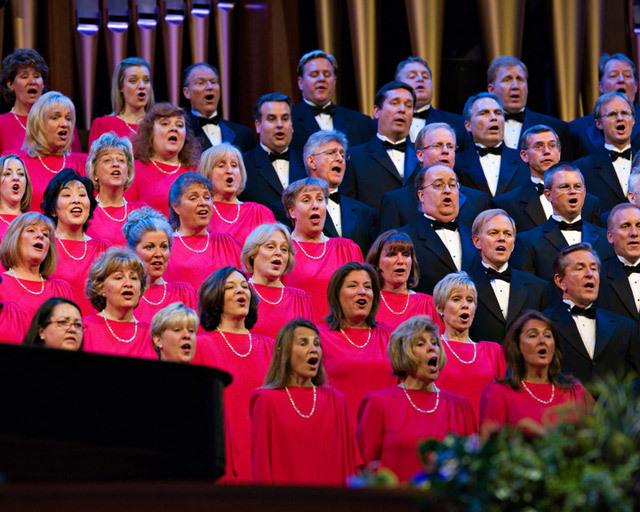 According to LDS Living.com, as part of the address he gave, he said, “We are standing on the threshold of the greatest period of racial development. The most important force behind the struggle . . . is the nonviolent resistance movement. It’s our most potent weapon.” His speech received a standing ovation. In 2010, Martin Luther King III, the son of Dr. King was the recipient of the Community Service Award at the Church’s Atlanta Public Affairs’ ninth annual Black Family History Month Symposium. At the symposium, Martin Luther King III spoke about his Realizing the Dream foundation. The goal of the foundation, which is in Atlanta, Georgia, is to “continue the legacy and unfinished work of Dr. Martin Luther King, Jr. and Mrs. Coretta Scott King. It seeks to rearticulate for this century the challenges and opportunities for championing freedom, justice, and equality while working to eliminate poverty, racism and hostile conflict in the United States and throughout the world.” He also commented that it was his hope that this holiday helps to spread the message of freedom for everyone across the world. 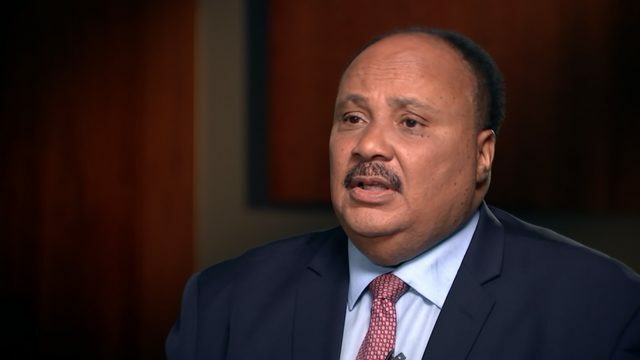 Martin Luther King III was presented with a Church-compiled, four-generation family genealogy. According to LDS Living.com, hundreds of non-Latter-day-Saint genealogy enthusiast were in attendance when the announcement was made that the Church was joining forces with the National Archives at Atlanta to increase the tools available to African Americas to research their family history, including digitizing World War II draft cards and thousands of slave manifests from the 1700s and 1800s. A leader of all people, Dr. King never chose fear, but always chose courage and determination when fighting for civil rights in the face of oppression, ignorance, and violence. He refused to allow prison, violence or the threat of death sway his end mission. 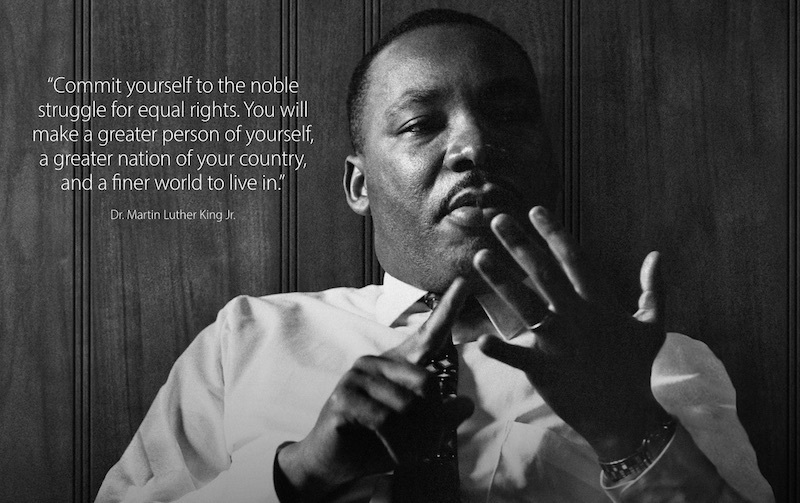 Instead, he stood beside his goal of achieving rights for all through nonviolent protests. . .. Dr. King’s legacy provides a staple model for how we combat inequality today. 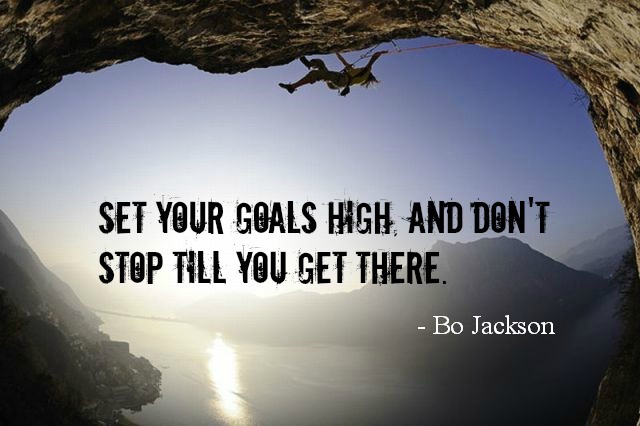 We cannot get comfortable in our current state. Too many people are relying on us to recognize and fight the inequalities that exist today. Superb article – love reading about connections like this. Thank you!